All Immersion Journeys tours, river cruises, expedition cruises, and adventure trips. Find the best guided trips and expert planned vacation and holiday packages. 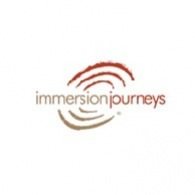 Average rating of 0.0 for all Immersion Journeys trips. Game viewing experience and a visit to the Chimpanzee Sanctuary.